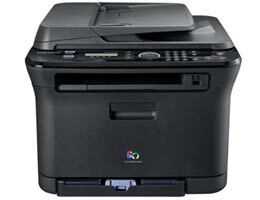 If you’re looking to outfit your business with a new printer, now is a great time to buy a color laser. Whether you’re a single user who prints newsletters at home or you’re buying for a corporate marketing department that designs collateral materials, you’re in a buyer’s market. Color laser printers are becoming progressively faster, smaller, and cheaper to operate than ever before, and with prices starting at $300, they’re affordable for all budgets. The lowest-end (sub-$500) color laser printers, while incredibly affordable, are typically slow and have limited paper capacity–and they aren’t cheap to operate, due to the relatively high cost of consumables. 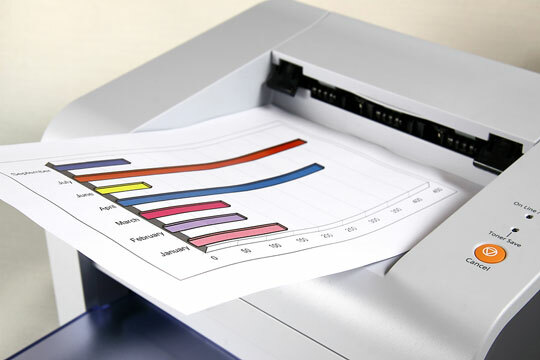 Printers in the $500-to-$1000 range are faster, handle more paper and different paper sizes, and cost less to maintain than inexpensive models. If you’re prepared to pay over $1000, the sky’s the limit: You’ll find printers with workhorse print speeds, large-capacity paper trays, lower costs per page, and sophisticated paper options. Here are a few key features to consider when looking for a color laser that will work best for your business. Xerox has demonstrated to their visitors at GITEX Technology Week 2008 how they can recreate an effective ‘green’ experience in the workplace with the latest in environmentally friendly product innovations including their exclusive cartridge free solid ink technology. All printed material at the show including all media press packs & other marketing collateral was printed on recycled paper to reiterate that Xerox is serious about going green. Green printing is one of the six dynamics of ‘Your New Workplace’, Xerox total solution (integrated hardware & software) that is customized for customers to help them in meeting their unique business challenges of our modern world. Xerox wide portfolio of product innovations includes various solutions designed to address such challenges and also help the customer to do great work without sacrificing quality. At the show, Xerox showcased the Xerox Phaser 8560 color printer which is latest environment friendly printer to feature Xerox next-generation solid-ink technology (solid ink produces brilliant, vibrant prints on a wide range of media, is the easiest technology on the market to use, and produces 90 percent less waste than a typical color laser printer). After nearly five years in development, the new crayon-like ink sticks have been developed to last longer than ever before. By increasing the total number of color pages the ink sticks produce, Xerox has drastically reduced the price of color printing. When comparing the cost of the device and the ink, printing on the Phaser 8560 is two times less expensive than using equivalent laser printers from other competitive manufacturers. In addition to the solid-ink printers, Xerox demonstrated on their stand a variety of digital multifunction devices (MFDs) which by replacing single-function devices like printers, copiers and faxes with, customers can reduce energy use from their document technology by up to 50 percent. Xerox solutions offer customers ways to become more productive without harming the environment through comprehensive document management and production printing solutions. Print-on-demand applications and digital workflows such as DocuShare and SMARTsend digital workflow help to reduce paper consumption by facilitating electronic data management, scan to email, print-on-demand and distribute-then-print workflows. Another example is the GreenPrint’s software which comes bundled with Xerox solid ink printers to ensure pages printed and waste are reduced. GreenPrint’s software automatically highlights and removes unwanted pages prior to printing by analyzing each page sent to the printer and looking for typical waste characteristics (like that last page with just a URL, banner ad, logo, or legal jargon). It also incorporates an easy to use PDF writer (to provide an alternative to printing) and a reporting feature which keeps track of all the paper, money, trees, and CO2 that have been saved. Anybody who has ever used a Polaroid Instant camera will know how convenient it was to have a picture immediately after taking it to show to your friends or as a record of an event. While it’s still very easy to take instant photos in a social setting, typically with a camera phone, a paper copy is harder, ironically, since the demise of Polaroid’s instant film cameras. As some recompense, Polaroid is the first company to introduce a printer based on ZINK Imaging’s new technology. ZINK, which stands for Zero INK, uses no inks, ribbons or coated films. Instead, all the technology needed to produce a full-colour print is held in three layers of transparent crystals, coated on the ZINK paper. A thermal print head sends pulses through the layers to heat the appropriate set of crystals and produce a colour image. Installation and set up could hardly be easier. A catch on the end of the PoGo releases a spring-loaded lid and 10 sheets of ZINK paper fit into a recess in its body. Clip the lid shut again, and it’s ready to print. There’s no software, as this printer doesn’t work with PCs; only with cameras and mobile phones. The phone connection is via Bluetooth, and all you need to set that up is the printer’s pin, which the phone requests before completing the link. While there’s no doubt that the PoGo printer is extremely convenient and easy-to-use, the ZINK technology is not at a stage where you’re going to see good images. Give it some more development and another couple of generations and it might get somewhere near the standard of the old Polaroid instant photos. ZINK licenses its technology to Polaroid, but this isn’t an exclusive licence and other manufacturers are known to be working on cameras and laptops with built-in ZINK-based printers. We’d like to see larger prints, at least up to the size of old Polaroid instant prints, and fervently hope the next generation of the print technology will offer greater detail in the images it produced. However, if you want a printer that’s immediately fun as a talking point, and one that produces expensive, business card-sized prints you can stick on your friends, the PoGo is ideal. CLX-3175FW is another Samsung’s printer that sets record, this time as the world’s smallest WIRELESS laser printer. If you are a fan of quality printing yet don’t really like massive bulky laser printers on your desktop then Samsung’s boast that its new laser printer is the smallest in the whole wide world will no doubt impress you deeply. It looks quite cool as well, if you need something to accompany your shiny new MacBook Air in your flashly minimalist home work space to impress work colleagues and friends with. The printer features Samsung’s revolutionary No Nois™ (right, no e after s) Technology engine design. It seems like a nice model, ready to fit into the smallest of places, yet with the features of a robust machine. Home Dialysis Plus is now licensed to use HP’s inkjet technology to mix water and concentrated dialysate, a mixture of chemicals used to extract toxins and supply electrolytes to the bloodstream. The water and dialysate will be mixed in real-time, then pumped into the dialyser. According to an HP statement, mixing the solution in real-time “helps filter toxins over a longer period”, and HP’s smart memory-chip technology “will ensure that the correct dialysate prescription is being delivered consistently so dialysis can take place while the patient is sleeping”. Michael Baker, chief executive of Home Dialysis Plus, said in the statement that the machine would be a “true breakthrough”, and HP’s technology was “critical to creating a unique patient experience that will offer ease of use, improved patient outcomes and life expectancy”. The deal between the two companies came out of HP’s intellectual-property licensing programme, and HD+ expects to get its machine onto the market by the end of 2010. “HP has many technologies available for licensing that lend themselves well to the health and life-sciences industry, and we will continue to look for opportunities within a variety of markets so that consumers can further benefit from HP inventions,” said Kevin Light, HP’s vice president of intellectual property and licensing, in the statement. HP’s Photosmart D5460 inkjet printer is a bargain that you can brag about. Though it’s a bare-bones printer in most respects, it has a few standout features that any photo enthusiast would love to have. In our laboratory tests, the Photosmart D5460 pushed paper quickly, managing a swift 11.4 pages per minute when printing text-only pages and 3.4 ppm when printing graphics. The main input tray holds just 125 sheets (lower than average), however, and it doesn’t accept legal-size media. Among the printer’s positives are a dedicated 20-sheet photo-paper tray, which handles paper sizes of up to 5 inches by 7 inches, and an integrated input tray and caddy for specially coated CD or DVD media. The CD/DVD input tray nests within the printer’s front bay and pulls down easily for use. The caddy (conveniently stored beneath the main input tray) is bendy, but it makes feeding optical media into the printer fairly straightforward. The Photosmart D5460 has one other interesting feature: an extra, pigment-based black ink for printing text, supplementing HP’s usual, dye-based black, cyan, magenta, and yellow inks for graphics. We liked the blackness of the text we printed on plain paper, though we noticed a little feathering around the characters. Photos printed on HP’s own paper looked natural (aside from a slight orange cast to flesh tones) and showed sharp detail even in dark or muted areas. The inks are impressively economical, too. The Photosmart D5460 ships with regular-size (130- to 300-page) cartridges for all five inks, butHP sells high-capacity versions of all colors. The regular-size cyan cartridge, for instance, costs $10 and lasts about 300 pages (per HP), which works out to an affordable 3.3 cents per page. The 750-page (by HP’s estimate) cyan cartridge costs $15–or just 2 cents per page. The printer’s control panel is simple, with an angled, 1.5-inch color LCD and only four buttons. When you insert a media card into one of the front slots, you can use the LCD display to scroll through your photographs and select one or more for printing. The Photosmart D5460 starts out as a basic machine, but it provides more options and higher-quality output than you’d expect for the price. If you’re concerned about the high cost of photo printing, this economically designed model may provide the answer you’ve been looking for. Canon Pixma iP1900 is as simple printer as it gets. This is no surprise given this printer’s low price. The PictBridge, a memory card slot and an LCD are all missing from this printer. The lack of a output tray is probably not so predictable though, so you’d better be sure there’s a lot of space before the printer to stop finished pages from falling to the floor. Inkjet technology hasn’t advanced much in the past 12 months. This is a plus for the Canon Pixma iP1900 as it means there’s no problem with it keeping up with the specifications of other printers. The 4800 x 1200 dpi resolution is more than you’d ever really need, and the 2-picolitre ink droplet matches that of more expensive competitors of Canon Pixma iP1900. Thanks to the use of Canon’s ChromaLife100 system, photo prints are guaranteed to last a good century if stored in an album. The software assortment is not so rich, but Canon’s Easy-PhotoPrint EX suite is enough for most printing situations. As for the quality, don’t expect high-end text printing from the Canon Pixma iP1900. Even in the finest mode (at about 1.9 pages per minute), text is rather fuzzy and poorly defined. However, the results are legible, and the middle mode (with a ppm of 6.3) produces readable results at a reasonable rate. Color graphics are never fast though. On paper the printer is stated to produce 17 color pages per minute, but the reality is not so bright — the speed is about 10 times slower even in the fastest mode. The Canon Pixma iP1900’s gamut is a touch light, and certain colors are reproduced inaccurately. The results are OK, but brooding intensity certainly isn’t a virtue of the Canon Pixma iP1900’s output.